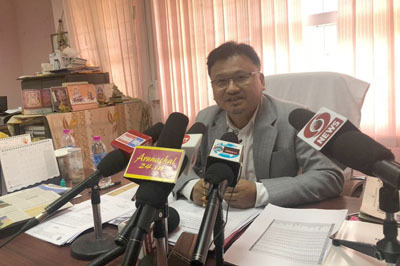 RONO HILLS, Nov 11: Land Management Minister Nabam Rebia has said action would soon be initiated against the encroachers on land belonging to Rajiv Gandhi University (RGU). He was responding to a memorandum submitted by the RGU Students’ Union, urging him to resolve the boundary issue and recover the 64 acres of encroached land at the earliest. The district administration has been directed to recover the original map of the university land and conduct proper survey to reclaim all the encroached land, the minister said. “There shall be no compromise on issues related to education and health,” he added. He urged RGU to ensure that it retains its reputation for providing quality education. “Naming or renaming of the university is of no importance,” he added. The minister also distributed the prizes to the winners of various competitive events. Earlier, RGU Vice Chancellor Prof Saket Kushwaha called for “honesty and transparency in every conduct and activity,” and urged the university’s officers not to use their positions for nepotism, and to abstain from corrupt practices. The VC assured the students that a mechanism would be devised to declare results on time. 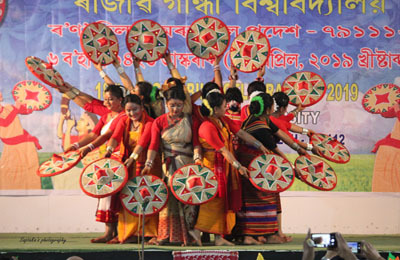 The Uni-fest, which was marked by competitions among Sela, Kangte, Mayodia and Patkai Houses in various games and sports, literary, fine arts and cultural activities, concluded with Patkai House being declared the champion. The ‘discipline house’ title was won by Kangte. Meetu Dada and Yerak Kardu of Mayodia House won Miss and Mr Unifest 2018 title, respectively, stated a festival committee release.